Have You Been On The Chakra Rail Yet? Have You Been On Kolkata's Circular Railway Yet? There are few cities that have as many modes of public transport as Kolkata. Think cabs, autos, trams, rickshaws, water transport, and buses. The Circular Rail (or Chakra Rail) is one more to add to the busy list. 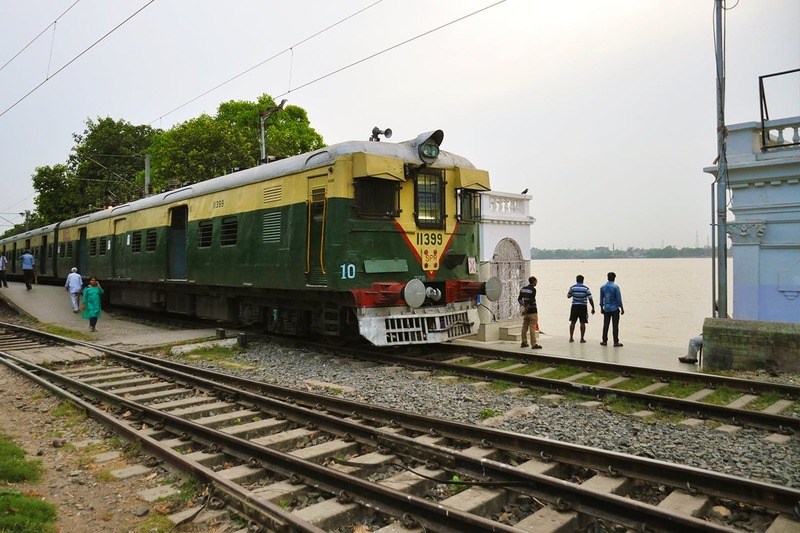 Ever wondered about the tracks laid down near the Hooghly when you visit your beloved Princep Ghat? Or about the small stations you keep crossing around the city, like in Park Circus, or in Ultadanga? Well, there is one line connecting all these dots — or one train connecting all these stations, I should say — and that is the Kolkata Circular Railway. It connects 20 stations spread out across the city over a distance of more than 35 kms. And I would say, even if you’re just looking for a time out from everything in life, there is nothing better than a short train ride, especially one that gives you spectacular views of the Ganges at the Princep. I mean, just imagine being on that train that passes through those tracks parallel to the river! The Chakra Rail starts and stops at the Biman Bandar station, and passes through areas like Dum Dum, Patipukur, Bagbazar, Barabazar, BBD Bagh, Eden Gardens, Princep Ghat, Alipore, Ballygunge, and Park Circus. Most prices for these rides stay at around INR 10 only. That the Kolkata Circular Railway is literally the city’s personal toy train — and one that will treat you to some gorgeous views of our very gorgeous city. So go ahead, take a ride and catch glimpses of Raj era Kolkata that still stands proud and majestic, or of the ghats and Ganga that makes Kolkata what it is.